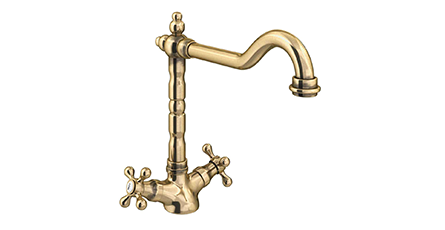 If you want to create a beautiful traditional look in your home then our selection of bronze and brass kitchen taps are an ideal place to look. Their charming appearance will bring authentic period style into the room, giving it a more bespoke feel. As an item which is used on a regular basis it's important that your kitchen taps are practical and well-built. These products are designed to be reliable and are manufactured to meet the highest standards, giving you great peace of mind. If your kitchen is looking great but just lacks that final little detail then our range of stunning bronze and brass taps will provide that finishing touch you need. Their charming traditional designs will complement a variety of country and classic styled settings.